When Naima was younger and my milk was plentiful, I used to donate milk to various persons/organizations, foremost of which is the UP-PGH's Milk Bank. I recently received an email from Dr. Jessa Sareno asking for milk donations for their NICU babies. Dr. Jessa is one of the fellows at the PGH Neonatology Unit. I asked her why they had so many patients needing milk and I was wondering where the mothers were. She shared that usually, the mothers are discharged before the babies and go home - often to the South, e.g. Cavite. These moms are asked to express milk at home then visit their babies daily so they can leave the expressed milk and directly nurse their babies. 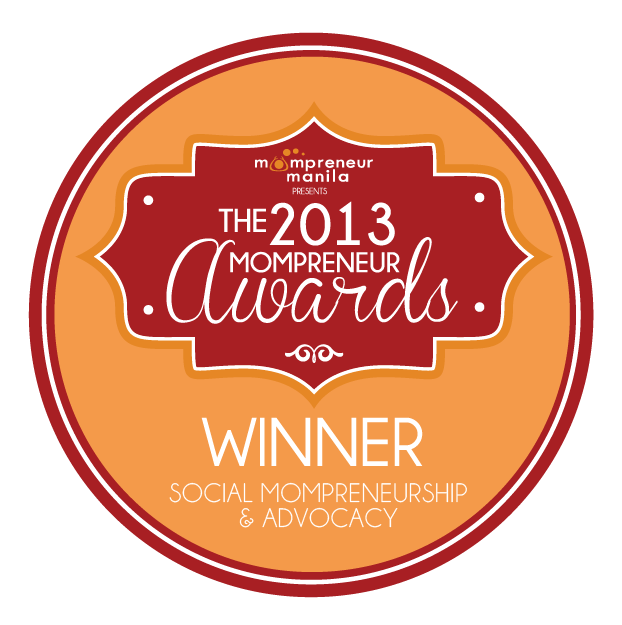 Sadly, however, the moms are unable to scrape up enough money for even just the jeepney fare to PGH. Thus, it often takes a week or so before the mom can come back to visit her baby. I would also imagine that even if moms are asked to express milk at home, most of them are not able to do so because of lack of storage facilities or the need to go back to work (with no milk expression time/facilities) to provide for the needs of their other children. 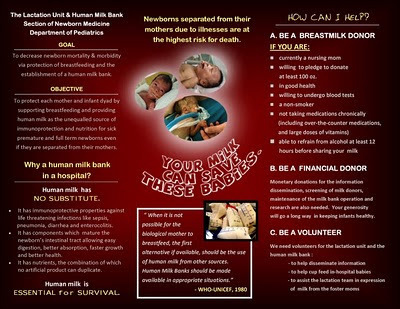 Thus, the never-ending request by the UP-PGH to ask lactating moms with excess milk to donate to their milk bank. Meanwhile, for moms needing breastmilk, I was able to get some information about Fabella Milk Bank. You can purchase milk from their milk bank at the cost of P400 per 200ml. However, breastmilk is not always available as this depends whether they have ward mothers donating breastmilk. The milk is pasteurized and tested. Before you can buy however, you need to bring a medical abstract of your baby. The ward mothers are eager to donate breastmilk because donors receive a huge discount off their hospital bills. Sometimes, they only pay P50! 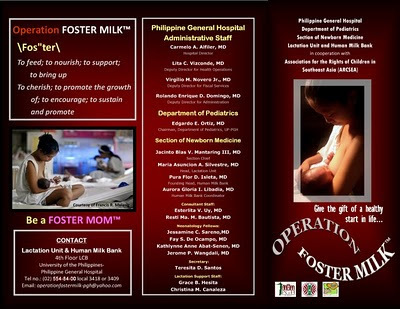 To get in touch with the Fabella Milk Bank, call 734-5561 local 156. Within a matter of days, women around the world have mobilized on the social networking site Facebook to organize an international, woman-to-woman milk sharing network. Human milk is for human babies, and formula-feeding is associated with risks to both the mother and infant. Women today are aware of this fact and are taking their life-sustaining power back into their own hands --they are now converging on Facebook to freely share their breastmilk with one another. 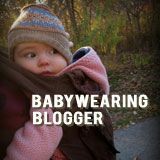 Montreal, Canada, November 7, 2010 - The announcement last month from internet health guru, Dr. Joseph Mercola, of his plans to launch his own brand of powdered infant formula onto the US market, has spawned the Eats On Feets GLOBAL breastmilk sharing network. In retaliation against yet another needless and harmful artificial breastmilk substitute to hit the market, mothers on Facebook from around the world have come together to take a stand for infant health. They have now established the world's largest human milk sharing network, an initiative spearheaded by Canadian lactating mother and passionate breastfeeding activist, Emma Kwasnica. The "Eats On Feets" name is the brainchild of Phoenix, AZ midwife, Shell Walker. A mother to young children in the '90s, Walker and her friends had this thought: "Hey, why don't we just become wet-nurses? Instead of 'Meals on Wheels', we can call our business 'Eats On Feets'." Walker took this idea and made it a reality in July, 2010, when she created a Facebook profile page under the same name, and began a free, community-based breastmilk sharing network for mothers in Phoenix. She has since been successful at matching up local women who have an excess, or are in need of, human breastmilk. Meanwhile, Kwasnica has also been using her personal profile page and her large network of international birth and breastfeeding activists on Facebook, in order to match up human milk donors and recipients around the world. One such story involves a fellow Canadian friend, living in Bandung, Indonesia; the school teacher and single father to a newborn son wondered if he could source human milk for his baby instead of feeding his son a powdered breastmilk substitute. Aware of his situation, Kwasnica put the call out to her vast network via a simple status update on Facebook, and a breastfeeding peer counselor in a neighbouring city in Indonesia responded. A string of lactating women on the ground was assembled to provide human milk locally for the infant boy. Now three months old, this baby has never tasted anything other than human milk. The announcement of Dr. Mercola's plans to market formula was the final catalyst that spurred Emma Kwasnica on to convene with Shell Walker and launch Eats On Feets GLOBAL. Regarding the inception of this initiative, she states: "Shell Walker is a friend and the midwife in Phoenix, AZ who came up with the name 'Eats On Feets'. She graciously allowed me to use her catchy name in order to launch the global initiative: a woman-to-woman, grassroots milk sharing network here on Facebook. As for Dr. Mercola, he should be injecting his burgeoning wealth into breastfeeding support, not trying to make more money off a product that is harmful to infants and their lifelong health." With the help of nearly 200 women online from the global mothering Facebook community, the initiative has taken off. Donor and recipient milk matches are being made right now all over the world on the pages of Facebook. There are now 87 Eats On Feets chapter pages spanning 18 countries (a quick Facebook search for "Eats On Feets" yields dozens of results). This movement is proof that Facebook can, indeed, be used for the good of humanity. By encouraging the biologically normal way of feeding babies, and reviving an age-old practice of human milk sharing, it is clear that social networking has the power to revolutionize infant health. ABOUT Eats On Feets GLOBAL - The Eats On Feets GLOBAL network chapter pages on Facebook provide an online space to facilitate woman-to-woman milk sharing. We assert that women are capable of making informed choices and of sharing human milk with one another in a safe and ethical manner. Eats On Feets GLOBAL does NOT support the selling or corporatism of human breastmilk. To listen to the radio show podcast (from October 30) where Emma Kwasnica discusses the events that lead to the launch of Eats On Feets GLOBAL, and how the ethics of Dr. Mercola were the catalyst for this initiative, visit: http://kopn.org/archive and click on "Momma Rap". Eats on Feets Philippines is now Human Milk for Human Babies - The Philippines. 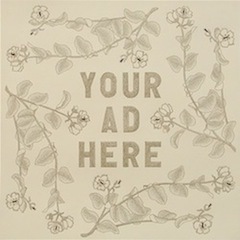 Check out the Facebook page for milk offers/requests. To read why there was a name change, click this LINK. Ameda Elite Review and Blog Contest!